Client intakes are a make or break moment for your practice. And to give clients your best support and grow a thriving business, you’ve got to go beyond the LAF. Whether you’re in the last few weeks of school thinking “how the heck am I going to do a real intake,” or well out of school and wondering how to make your intakes better—this workshop is for you. You’ll leave equipped with the practical tools you need to transition these interview skills from the classroom to your practice. This stuff isn’t taught or shown to you at school, but it is super critical for success. Orsha will conduct a live, unscripted intake with a first-time client (that’s right, someone she hasn't met before), offering a rare opportunity to observe these interview skills in action. Together, (after we say thank you and goodbye to the client!) you’ll discuss the consult in a hands-on debrief where you can ask your burning questions and get professional advice you can really use. Designed to coincide with the CSNN program starting to wrap up, this workshop bridges the gap between in-class theory and practical application in the real world. 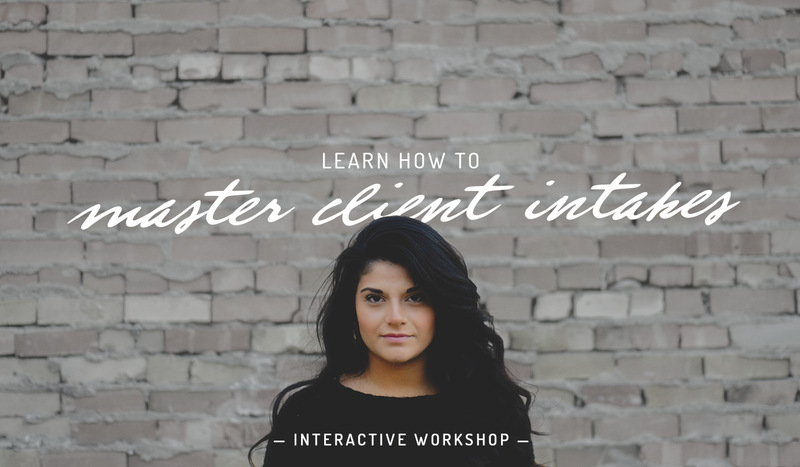 You’ll leave this 2-hour workshop with the confidence to smoothly transition skills from the classroom to working with real clients. Please connect with us, here or email info@neurotrition.ca to reserve your spot and register. We will accept cheque or e-transfer payment for this event. Please note: Tickets are refundable only up to June 7, 2019. After June 7, 2019, tickets are non-refundable. Tickets are, however, always transferable.